Droid Life Show listeners will know of my frustrations for the 3rd party Twitter app called Falcon, thanks to its lack of multiple account support. 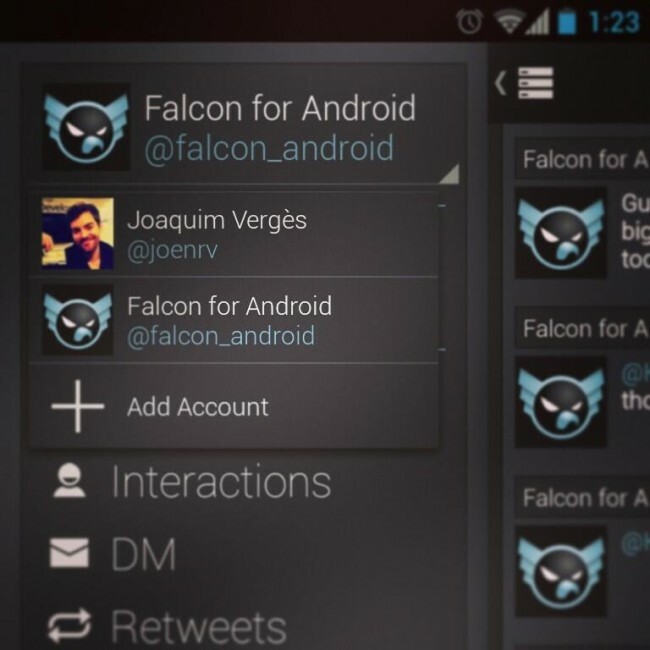 Well, as if someone was listening and wanted to put a fat smile on my face today, Falcon is getting multiple account support in the upcoming version 2.0 update. Oh my goodness. Besides the words “coming soon,” we don’t have any info on an intended release time, but it could be any day. Keep your eyes peeled to Google Play and get that second account ready to go.